Lapa is located at the foot of the spectacular aqueduct that connects Centro with Santa Teresa. I will try to tell you a bit about this neighbourhood and as well describe the highlights if you want to visit. In 1723 the aqueduct transporting water from Santa Teresa to the centre of Rio de Janeiro was ready, back then Lapa was not much more then a lake with some houses. Slowly as the city centre expanded houses were built and in the beginning of the 20th it could already be considered a neighbourhood on its own. In the 1920’s it had become a hangout for intellectuals and bohemians. There were also gambling houses, prostitutes and brothels; some called it the Montmartre of South America. It quickly became a center for live music and together with the neighbourhood Gamboa it is considered the cradle of Samba as we know it. In 1946 all casinos were abolished by a conservative government led by a Gaspar Dutra (rumours say it was his very religious wife who was the driving force) and subsequently all connected “seedy” activities like prostitution was also not sanctioned; they cleaned up Lapa. It continued to be a center for music but when the title “capital” went to Brasilia in 1960 the central neighbourhoods Gamboa, Centro, Catete and Lapa started to decline. The streets became notoriously unsafe and in the 1990’s there were only a few waterholes with live music that still kept the music tradition alive. Then came the change: The popularity of live music grew to big proportions and there all of a sudden the area was on the rise. 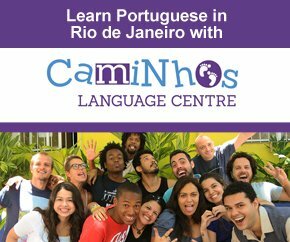 Today you can see how many old houses are renovated, bars and music clubs open; it again become a place were people in Rio go to have fun. If you go to Rio you have to try the nightlife. Even though there are numerous nightclubs and bars around town, it is the live scene in Lapa that is unique and what most tourists will remember from Rio. 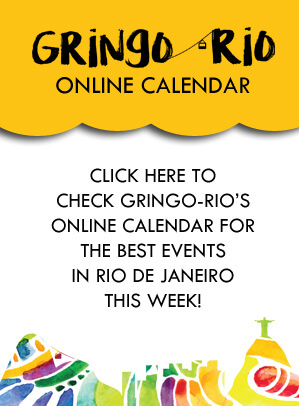 Go to Live Music in Rio de Janeiro to find out more about the best clubs here. Sunday until Wednesday the options are fewer but the other nights you have many options. 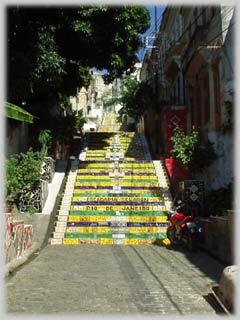 The Stairs of Selarón (Portuguese: Escada da Selarón) is another attraction well known, starting in 1990 a Chilean artist (yes Selarón) has been artfully tiling this stairway connecting Lapa with Santa Teresa. He was murdered a few years ago. Going there in the daytime is possible but there has been many robberies so your camera might be in danger. You can easily see them if you visit the street party on a Thursday, Friday or Sunday since it is leading up from Rua Joaquim Silva map where parts of the street party is concentrated. If you want to read more about that and other street parties in Rio just click here.